The webinar has been broadcast and the recording will be available soon. In this webinar David Gerard, author of Attack of the 50 Foot Blockchain will present for about 20 minutes on ‘The basics of blockchain and bitcoin’. After the presentation, Ray Poynter and David will discuss the implications for market research and take questions from the online audience. Blockchain is fast becoming the most hyped technology in a wide range of business sectors, including banking, elections, cybersecurity, and (of course) market research. The joy of the advocates is only matched by the outraged howls of those who fear that the disaster of bitcoin will be re-written across many industries under the guise of blockchain. So, if you are unsure about what blockchain is and whether market research should be developing blockchain applications, this is the webinar for you. Yes, we will be making the slides and recording available after the event. 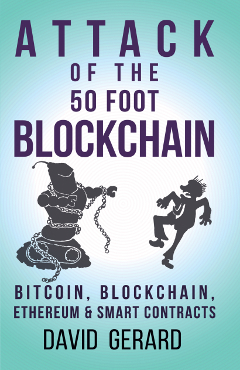 David Gerard writes the cryptocurrency and blockchain news site Attack of the 50 Foot Blockchain, and is the author of the 2017 book Attack of the 50 Foot Blockchain: Bitcoin, Blockchain, Ethereum & Smart Contracts. As well as being a crypto journalist, he also works as a Unix system administrator, where his job includes keeping track of exciting new technologies, and advising against the bad ones. 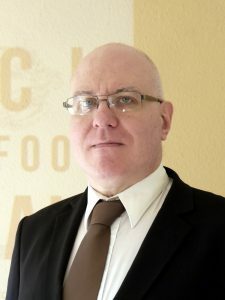 He has also been an award-winning music journalist, and has blogged about music at Rocknerd.co.uk since 2001. He is a volunteer spokesman for Wikipedia, and is on the board of the RationalMedia Foundation, host of skeptical wiki RationalWiki.org.